St. Paul’s Home Board celebrated their 150th Birthday this year. That is a century and a half of supporting vulnerable children and youth in Nova Scotia. It is hard to even begin to imagine how many lives they have touched and what an incredible impact they have had on our province during this time. The Board has certainly impacted many lives in the HomeBridge Community and offered a profound support to our organization. HomeBridge has been connected to St. Paul’s Home Board for the past 36 years and we can say, with complete certainty, that we could not provide the services and support we offer to vulnerable youth without them. Out of the 40 young people that can be living in the HomeBridge Community at any time, 16 youth live in facilities owned and maintained by St. Paul’s Home Board. These three houses, Jubien House, Sullivan House and Cogswell House, are provided to the organization for a dollar a year and the Board works with HomeBridge every step of the way to ensure that they are properly maintained and adapted to the ever changing needs of the youth who live there. 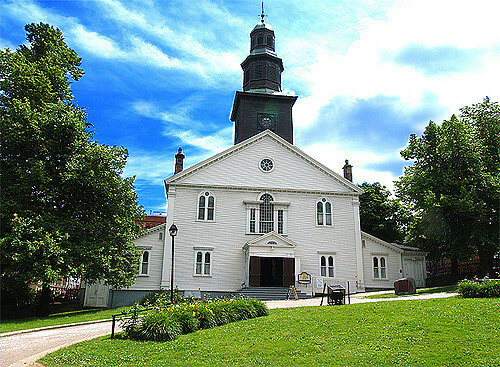 St. Paul’s Home Board was formed in 1867 when nine parishioners from St. Paul’s Anglican Church each donated 10 pounds of silver. Their hope was to provide housing for orphaned children in Nova Scotia. Over the years, this group has planned and invested wisely and accumulated land and funds that have allowed them to fulfil the wishes of the original Board members and so much more. On top of providing HomeBridge with facilities, they have also been generous supporters of our Expressions Program of the Arts and our Holidays of Hope Campaign. In 2012, when HomeBridge embarked on a huge renovation project to completely redesign our original facility, Hawthorne House, St. Paul’s Home Board was once again there to lend a hand. The group offered HomeBridge an interest free loan that allowed construction and fundraising to take place simultaneously. This resulted in the project being completed very efficiently so the young people could enjoy the benefits of a therapeutic environment. HomeBridge is just one of the organizations that have been forever changed as a result of this Board’s generous support. On behalf of our Board of Directors, employees and youth (past, present and future), we would like to congratulate St. Paul’s Home Board on this milestone, celebrate with them and express our sincere gratitude to the dedicated individuals who make up the current Board. We wish the organization another 150 years of belief and blessings.